Colorful carps are swimming in the Seto River. White wall earthen storehouses are standing alone the river. 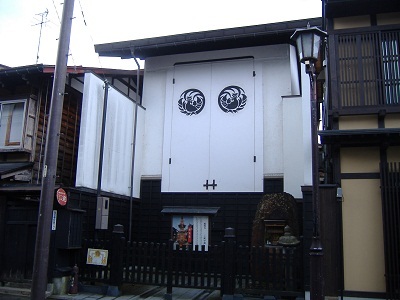 White earthen wall buildings are unique in Hida Furukawa. 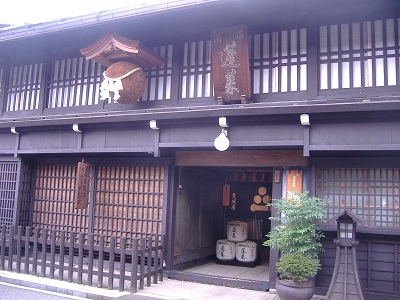 Old-established sake brewery. Sugidama, a ball of Japanese cidar leaves is decorated as a sign of sake brewery. 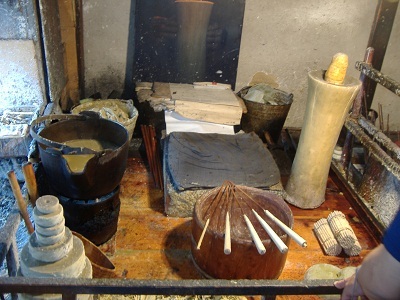 Old-established Japanese candle workshop. The seventh generation explains visitors how to make Japanese candles. 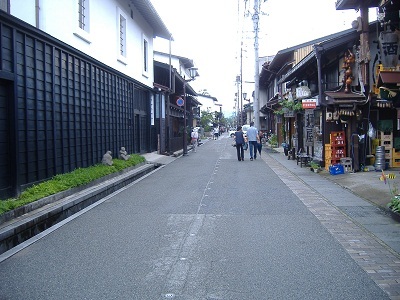 There are only a few workshops remain and do their traditional business throughout Japan. 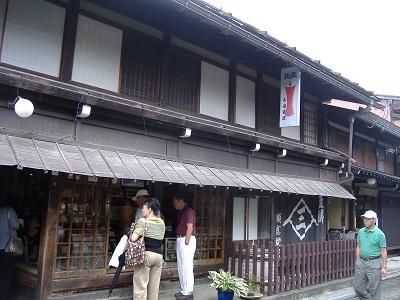 The front of a Japanese candle shop, Mishima . 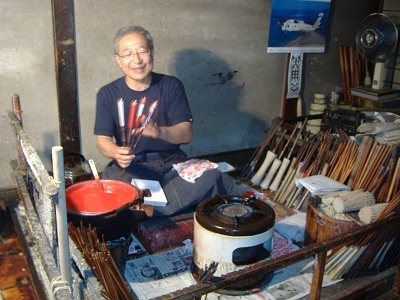 Work place for the artisan of Japaneses candle. 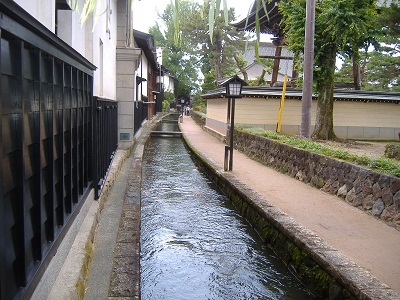 Yataigura, float storehouse for Furukawa festival.